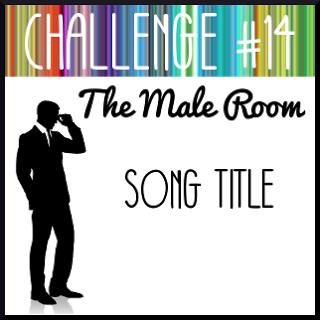 Create With Me: It's a Jungle Out There! Wow, what a beautiful card! LOVE the background! Your background looks Great and reminds me of a hot sunset. Perfect for this image. Love this! Awesome job with the watercolor background! 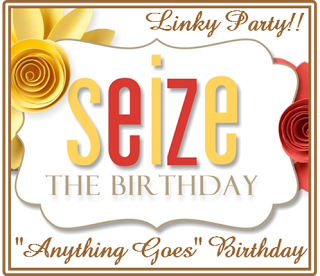 Thank you for joining us at Seize the Birthday! Great song choice - it was on my shortlist. #love how the cheetah is camouflaged by your background. Thanks for playng at The Male Room. 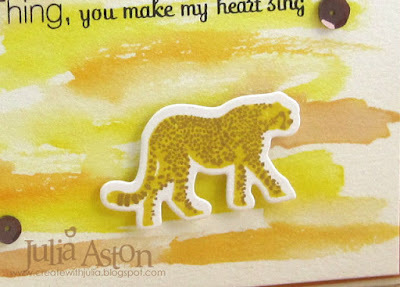 Love those cards Julia, what a great stamp and die set, the cheetah is wonderful and love the sentiment! Ooh, I love the arty watercolour backgrounds - great design for the cards, Julia. 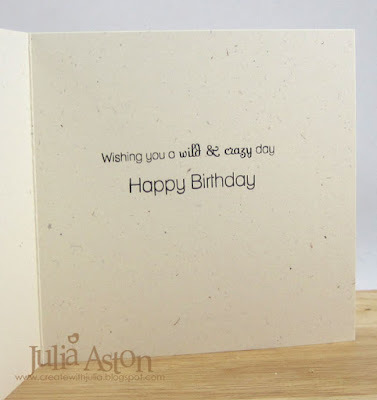 I LOVE this card, 'you make my heart sing' with this one. Thank you for joining us at TMR. Such a pretty background on this cool card. Thanks for playing along with Seize the Birthday!